Becoming a mystery shopper is a great way to earn extra cash, if you’re smart, ambitious and has time to spare then you need to see if you can get involved in this interesting job. 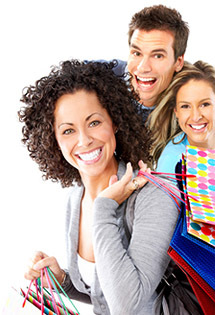 To earn a reputation as a successful mystery shopper you need to gain experience in the field, make sure to register with authentic mystery shopping companies. Sometimes mystery shopping requires you to spend cash and it will be reimbursed later on, you should be able to spare cash when required. Just like in any other job your performance matter. You need to take the job seriously and make sure you complete the reports on time. This will impact your payment. As a mystery shopper you’re responsible for your taxes, your payments will be included as self employment. You need to have an eye for detail and be able get down all the necessary information quickly to succeed.